Connect two set of earphones into your MP3 player with the Rimax Dual Sound. Share music with your friends without sharing your earphones. 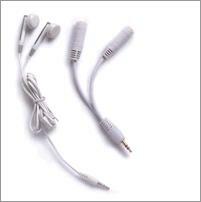 Included are a dual earphone adapter and a second set of earphones.